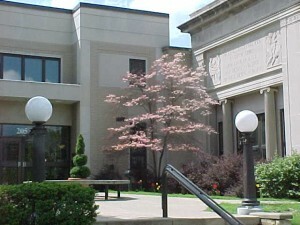 Warren Public Library is a free provider of information and education for the 28,502 citizens in our library’s service area. As a District Center, our reach extends far beyond the city of Warren. Everyone is served at the library, no matter who you are or why you are here. It doesn’t matter where you live or even if you have a home. We serve all ages, races, creeds, genders, political affiliations, education levels, sexual orientation and financial statuses…and we do it for FREE. The mission of the Warren Public Library is to provide to all citizens in its service area access to library materials and information services which address the needs and expand the aspirations of the community for formal and lifelong learning, enrichment, and pleasure. • We have a continuing need to purchase new materials in all formats: Everything from picture books to video games to eBooks. • A brand new teen space is being planned in our library to better serve the Warren teenage population by providing access to a safe, enriching environment for learning, discovery, and fun. • Infrastructure repairs are necessary, including a restroom update in our basement and repairs to our study room to accommodate relocation for the teen space. • At the moment, a website redesign is in progress to increase ease of access for our patrons. Thank you for seeing the value that the library provides. We greatly appreciate your support. Warren Public Library: Start here. Go anywhere!